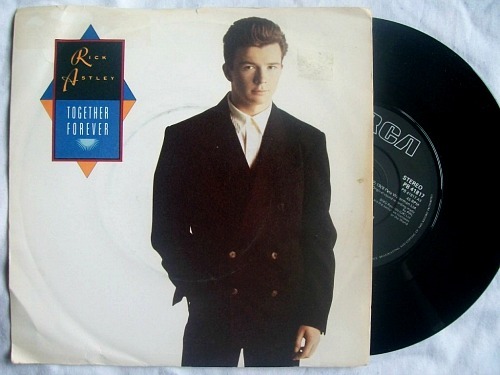 Rick Astley - "Together Forever"
Released on 18th June 1988, and sounding pretty similar to his debut single (that was the chart-topping Never Gonna Give You Up) Together Forever was the British singer/songwriter's fourth single to be released from his 4 x Platinum debut album Whenever You Need Somebody. However, in the U.S. and Canada one more track was released entitled It Would Take A Strong, Strong Man, which topped the Canadian charts. Together Forever was kept off the top spot in the UK by another Stock, Aitken and Waterman production, I Should Be So Lucky by Kylie Minogue. 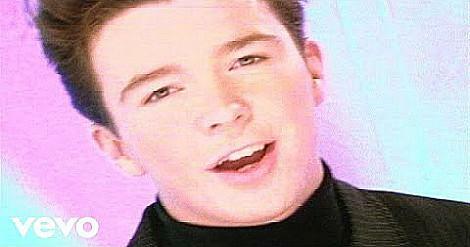 However, the song topped the charts in the U.S.
Rick Astley's most well-known and best-selling song was his signature debut song which I've already mentioned above, and this topped the singles charts in 25 countries including the UK, U.S. and Canada. Rick still holds the record for being the only solo male artist to have his first eight singles all reach the Top Ten in the UK singles chart. Seven of these songs were released in the late 80s, and after Cry for Help reached #7 in 1991, his next three singles failed to break into the Top 40. Astley retired in 1993, but returned in 2001 with a new album called Keep It Turned On, which was only released in Germany. In 2010, he released his first song in the UK for seventeen years (Hopelessly reached #33 in 1993). Entitled Lights Out, the track only managed to reach #97.